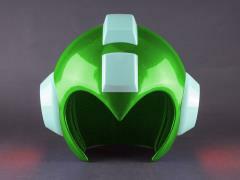 There's been attempts at creating a wearable Mega Man helmet over the years, but it's never been made officially. 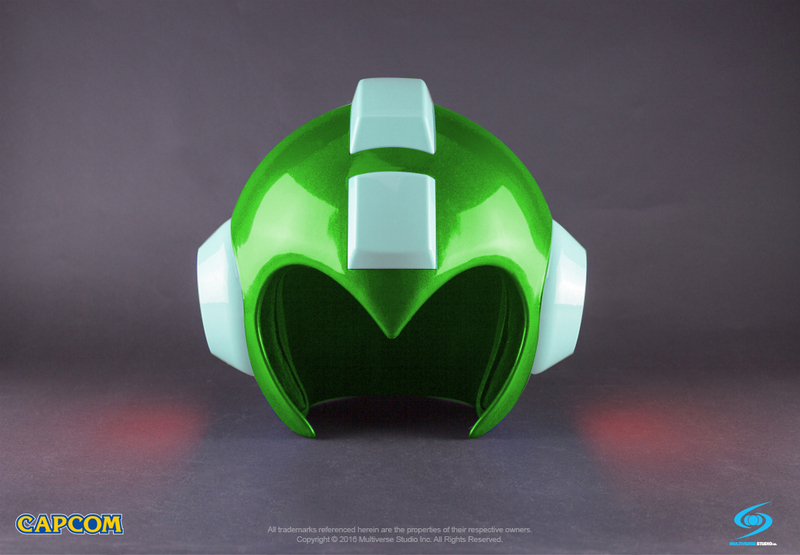 Everyone's been clamoring for one - and now you really can be Mega Man with this full-size, wearable Mega Man helmet made of high quality ABS plastic with a high polish finish, authentic proportions and details plus working LED lights! A unique clam shell hinge allows the front and back half of the helmet to easily open up to comfortably fit your head inside the soft padded interior for a perfect fit. This is a high quality replica of the Blue Bomber's helmet - perfect for display in home or office, but it also doubles as the ultimate role play accessory! Comes shipped in a decorated box suitable for displaying your helmet when not in use. Mega Man helmet is not to be used for any other use other than Cosplay or display. It is not rated to be a motorcycle helmet or hard hat. Comes with four pieces of adjustable Velcro interior foam for a comfortable fit. Requires two AAA batteries for LED lights.